Triathlons are gruelling tests of fitness and willpower. They test your capability to run, swim and cycle – one after the other! This type of event is very demanding. Some people focus on improving one area at a time, whilst others use an overall approach. Either way, you can only know if you’re improving or not by tracking the statistics. This is where a good triathlon watch comes in. 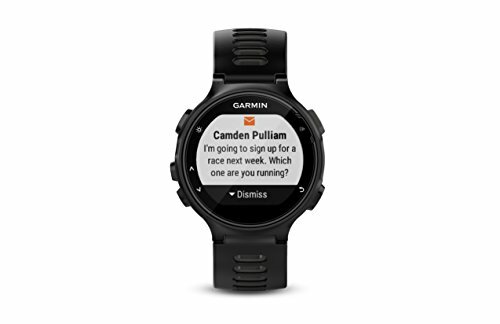 My suggestion for would be the Garmin Forerunner 935. Now some of you will notice that this suggestion is a little different to the one in our best triathlete watches article. That’s a great point though the difference between a Garmin Forerunner 920XT and the 935 model is probably going to come down to personal preference. 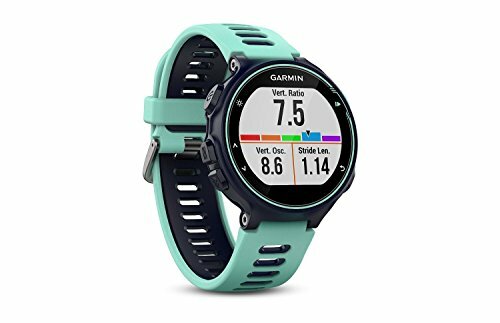 Anyway, today we are going to focus on other Garmin options as well, some of which might suit you better than others depending on what your needs are. Now let’s get started and take a look through the various options! 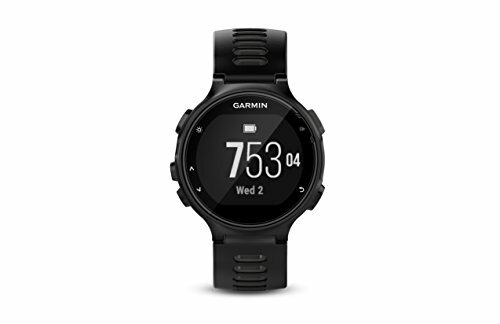 A recent release from Garmin, the Forerunner 935 is absolutely stuffed full of useful features for triathletes. The Forerunner range are designed to be sports watches aimed at runners and triathletes specifically. The GPS capability of a Forerunner is amazing. Remember, accuracy of location, speed and distance all need to be on point for serious data tracking. GPS and data tracking are better than ever on the Forerunner 935. It comes equipped with more advanced hardware, and more of it, than older Forerunners had. Features like a sensitive altimeter mean the watch can use 3D mapping accurately and provide an extremely accurate log of what distance you have covered and at what speed. 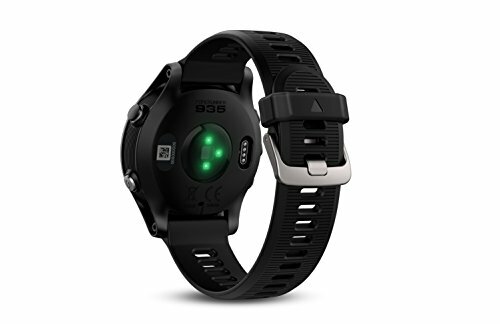 The sensors within this watch also give great readings for speed, direction and heart rate. There’s even support for external sensors to be added, such as a heart rate strap, which boosts the accuracy even more! Compatability with a variety of apps, such as Strava and Garmin Connect, comes as standard as well. When it comes to battery life, you’re really going to struggle to find something more powerful than the Garmin Forerunner 935. Whilst older running watches might need charging after every use and struggle to stay working for more than a couple of uses without being recharged. 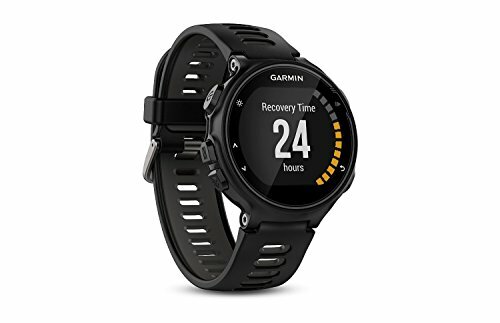 Garmin claim this model can last 2 weeks without a charge in watch mode, or 24 hours in running mode. That’s already more than most people would need. I’ve got a close friend who uses one regularly and says it’s no problem to switch to run mode for an hour or two, then back to watch mode, without needing to charge the watch until the weekend. There’s also an endurance mode available which lowers GPS accuracy but boosts battery life even further! In this mode there have been many claims of running marathons with less than 10% battery life being lost! The Forerunner 935 is smaller and lighter than many of the older Forerunner models, making it more comfortable to wear for prolonged periods. This also applies to the look, because the Forerunner 935 has a much nicer looking rounded face. Compare it to the larger, more squared face of the 920XT and you’ll see what I mean. Now for many people, the 920XT would be fine because they’re only looking for a training/competition watch. What I like about the Garmin 935 though is that it doesn’t look out of place being used day-to-day. With a solid construction, silicone strap and reliable waterproof performance, this watch shouldn’t break down under regular use. 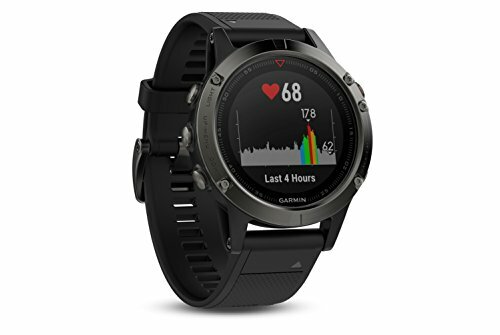 Garmin is a brand known to produce reliable watches and the Forerunner 935 is no exception, giving the same great performance after every use. Being a newer release and the current flagship model of the Forerunner range, the 935 isn’t the cheapest watch around. 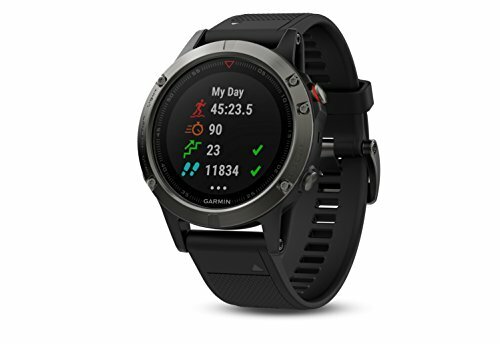 It actually isn’t priced much higher than other Garmin watches, though the cost could be enough to put off casual athletes. 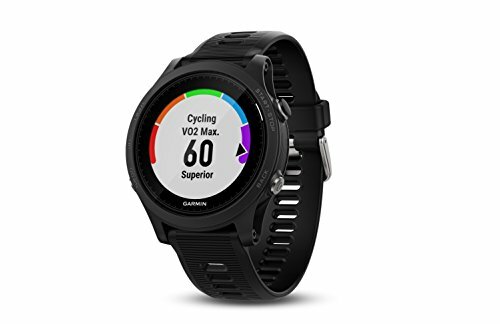 There are a lot of features on this watch which might not be important to a lot of triathletes, and if that’s the case for you, there’s probably a cheaper alternative available. 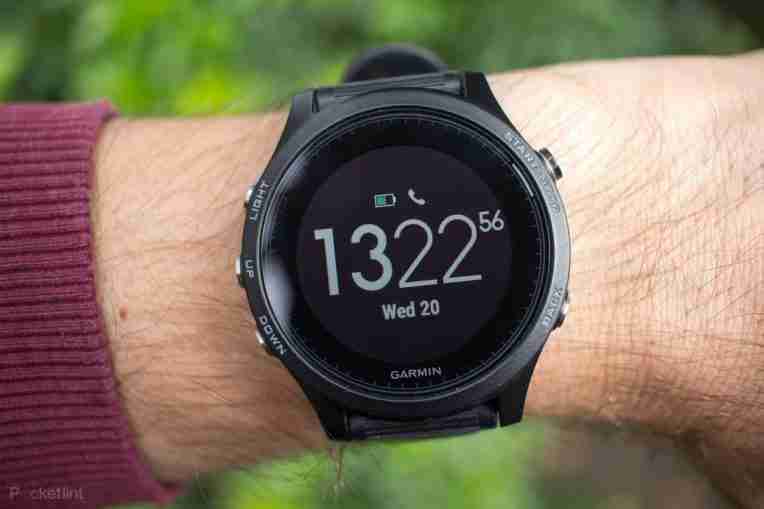 One of the bigger talking points is that this watch doesn’t support Garmin Pay, the contactless app which Garmin usually integrates in sports watches. The fact this is missing could be an inconvenience to some, especially as this is our overall top pick and many triathletes don’t like carrying anything extra, such as a phone/card/wallet. It’s still only a minor inconvenience though, so won’t knock the watch from top spot. Music support is a bigger deal for a lot of people. Having to carry a phone while running can be a serious inconvenience and pain point. Having music functionality through a watch usually gets around this, and allows people to run using just a Bluetooth headset and their watch. That option doesn’t exist with the Forerunner 935, so if you want music you’re going to need your phone. On the plus side, you can at least control the phone/music via the watch! Looking to keep the cost down, or quite new to triathlons? The Forerunner 735XT could be perfect for you! It gives you plenty of data at a lower cost than the 935. The trade-off comes on battery life and a slight issue in tracking pool laps. Neither of these should be big problems unless you’re a high level triathlete though, in which case the 935 is recommended. This watch offers a fast and accurate GPS for land use especially. It seems to pick up signal and position faster than even the Forerunner 935, and has massive data storage capacity. Couple this with app compatibility and the ability to detect even small details, such as number of strokes while swimming, and you have plenty of data to work with when training to improve your performance. Unlike some forerunner watches, this one uses buttons rather than a touchscreen. When you’re likely to be wet, sweaty and on the move, touchscreens can be quite painful to use, so we’re glad to see that buttons are preferred on this model. Being lightweight and having a well-designed screen also adds to this usability. The lightweight and sleek design of this watch don’t only make it comfortable, it actually looks better for it too. The Forerunner 735XT wouldn’t look out of place for everyday use. There’s a choice of colors as well, so your watch can be unique and suited to your personal style. The 735XT has a very comfortable silicone strap as well. Whilst the GPS unit itself is pretty good for outdoor work, Garmin 735XT relies on the accelarometer to detect when you have completed a pool length/lap. This doesn’t seem as reliable and can occasionally miss the lap/length change, messing up your data tracking. It should be obvious to see when this has occurred, and we have heard that pushing off harder and more suddenly from the sides at the start/end of a lap helps with this problem. The heart rate monitor can be inaccurate sometimes too. This won’t be a problem for most athletes because it will still be close to the correct reading, though at higher levels where precision is needed for training, that could pose a problem. The 735XT has good battery life by most fitness watch standards. It does fall short of the 935 though, with a full marathon taking around 30% of charge out of this one. That’s still plenty of battery life for most, with average users able to wear it all day, including during training, for a few days before needing to recharge. For higher level athletes though this could be a little on the low side. The Fenix 5 is a great watch. It comes with pretty much every feature the Forerunner 935 has, though has a different look and is a little heavier. This heavier weight and altered look are to give it a more stylish appearance though, so it won’t look out of place in an office setting and is still functional outdoors. When it comes to GPS and data tracking, the Fenix 5 matches any sports watch on the market today. It has all of the hardware and features to track anything you might want and have the information stored and readily available for you. 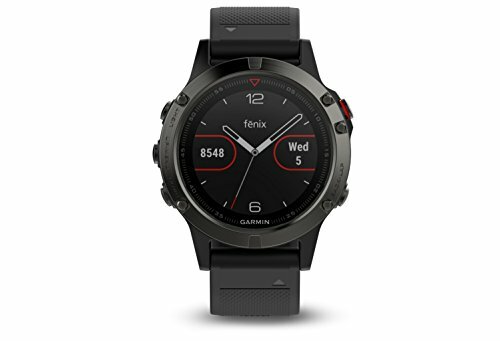 The main reason people buy a Fenix 5 over other models is that it looks good. You can use this as an everyday watch and it doesn’t stand out as a sports watch at first glance. It uses a solid metallic build which also adds even more durability to the watch. In fact, with the scratch-proof screen on the Fenix 5 Sapphire edition, this is more durable and dependable than the Forerunner 935. Of course, not being plastic, it looks better and more expensive too. This watch performs similarly to the 935 for battery life, giving 24 hours of run-mode use or 2 weeks of watch-mode use. There’s also the Ultra-trac mode available, sacrificing some GPS accuracy for an even longer battery life. 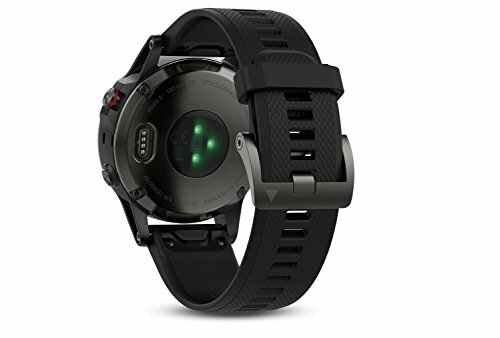 Battery life is more important with the Fenix 5 because it isn’t marketed as a standalone sports watch, instead being pushed as an everyday watch with sports capability. 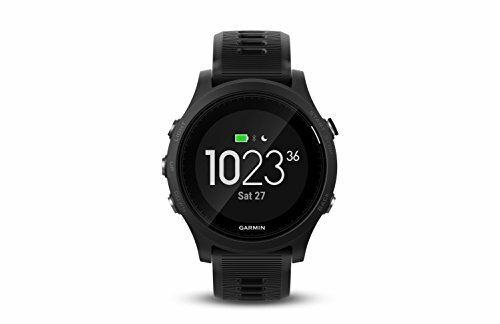 The price doesn’t look too bad at first glance, but for the Sapphire version (which is the most popular) it goes up quite a bit and is the most expensive of our three Garmin triathlon watches. The face of this watch and the screen size are both smaller than similar alternatives. The heavier weight makes it 2nd best against the Forerunner 935 for most triathletes, who prefer light weight and plastic. 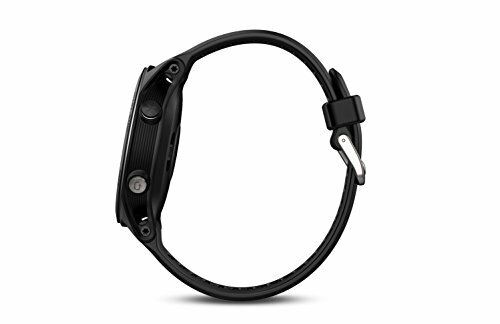 The solid build makes it more noticeable on your wrist during sports. Having a smaller screen also limits performance a little, because features such as topographic maps aren’t available with this watch. Overall, if you want to just buy one watch and wear it all the time, and cost is no issue, the Fenix 5 Sapphire edition is for you. However for those wanting a great dedicated sports watch which doesn’t need to be worn away from athletics, the Forerunner 935 would be my pick. 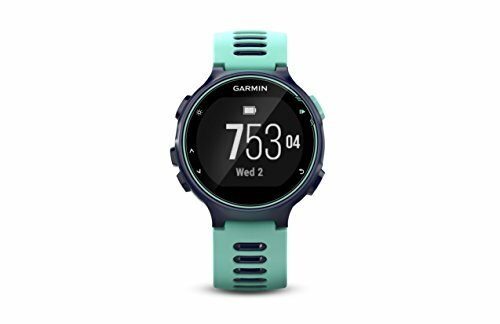 Obviously the Forerunner 735XT would only be my choice if I was limited by budget or wanted to save a little money and didn’t need the extra features a Forerunner 935 provides.